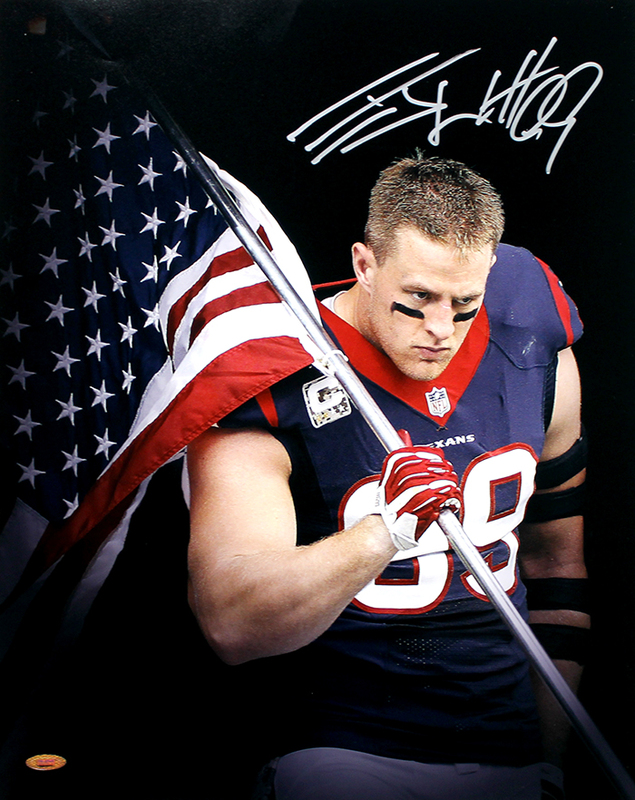 JJ Watt personally hand signed these Houston Texans 16x20 photos. Each autographed photo includes an individually numbered, tamper-evident TRISTAR Authentic hologram, which can be verified online at www.tristarauthentic.com. JJ Watt is a superstar defensive end for the Houston Texans. Since being selected 11th overall in the 2011 NFL Draft, Watt has made quite a name for himself. In 2012, he led the NFL in sacks and was named the Defensive Player of the Year. In 2014, he was named the Defensive Player of the Year for the second time, and was the runner-up for the NFL MVP award. The 4-time Pro Bowler became the first player with 20+ sacks in multiple seasons. Despite playing through multiple injuries in 2015, he had another stellar season, and was named the Defensive Player of the Year for the third time.